Uninterruptible Power Supply or UPS as the name suggests is an electronic equipment providing power supplement in case of power termination. UPS is generally used for computers, data centers and telecommunication equipment’s or other certain electronic and electrical equipment’s. Unexpected power failure or voltage differences are likely to cause damage to electrical instruments and even data loss or business interruptions. India is a huge trader of UPS in the global market. A few of the UPS systems available are: Line interactive (meant fro small business, data centers, servers), Standby hybrid( specially meant for office systems), Standby Ferro, Double Conversion online, Delta conversions online. 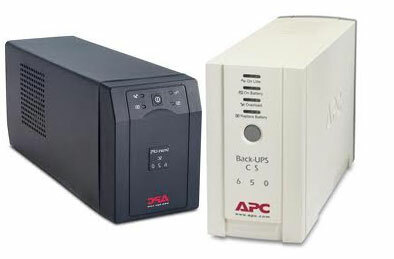 APC UPS from Scheneider Electric manufacturers is rated as the best UPS brand that can run multiple devices at one time. APC is the award winner for selling most popular UPS across the world. It has the power to protect all the critical data from power failures with the special grade power. APC UPS is available in wide range of varieties (tower, rack mount, rack tower convertible). APC UPS models is available in India with a power range from (230V Output / 230V Input) APC Smart-UPS X 750VA Rack/Tower LCD 230V to APC Smart-UPS XL 5000VA 230V (No Battery). 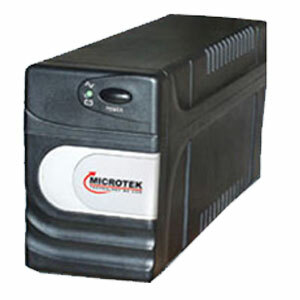 Microtek is one of the largest manufacturers for power back up systems. Micreotek product ranges will include digital Sinwave invertors, UPS systems with the use of world’s latest technologies such as Motorola and other such major manufacturers. The brand has over 45 service centers and around 20 office branches in India. 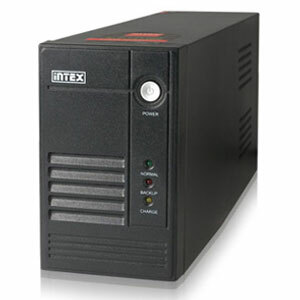 Some of the Microtek models are UPS E² Series, UPS EB series, UPS 24×7 series, line intercative UPS, online UPS, UPS 24×7-650VA to 1600VA, UPS Heritage Gold. Intex is associated with 6 manufacturing unit. They are: computer peripherals, mobile phones, electronic equipment’s and other such related business deals. It is one of the most popular selling brands for UPS in India and is available in wide range of models. Intex UPS comes with the benefit of overload, overcharge and most over battery management. 600 VA models include Intex Armour 725, GREEN X 700 (600 VA) and PROTECTOR 725. 800 VA from Intex comes with Protector 800 VA and 1000 VA model from Intex is GAMMA 1 KVA. 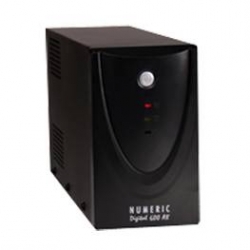 Numeric UPS is another leading UPS manufacturer that is ranked fourth in the Global UPS market. The numeric is considered as Number. Numeric provides basic protection against power with a maximum back up time. It is also available with convenient plug and play system in addition to advanced communication. Numeric UPS models ranges are Digital 600 EX, Digital LI series, Digital LI SW series. Videocon is the global manufacturer of electronics. They have been successfully offering wide ranges of UPS products designed with utmost care for delivering premium service. They are affordable and reliable and are enhanced with world class technology. 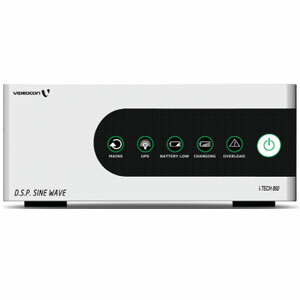 Videocon UPS models include Tech 1450, Tech 850, Tech – 650, Dual Tech 1425, Dual Tech 825, Dual Tech 625, ECO Tech – 1450, ECO Tech – 900 Premium, Tech 2800, Tech 3500.